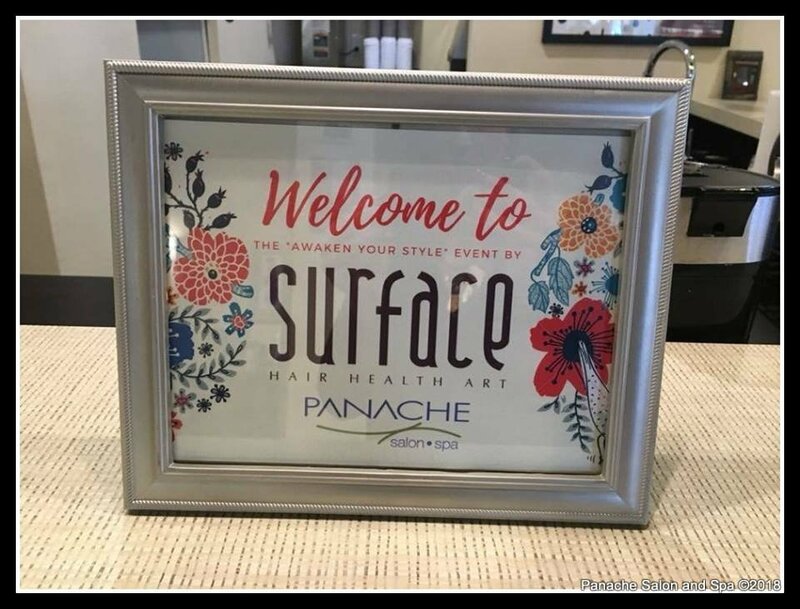 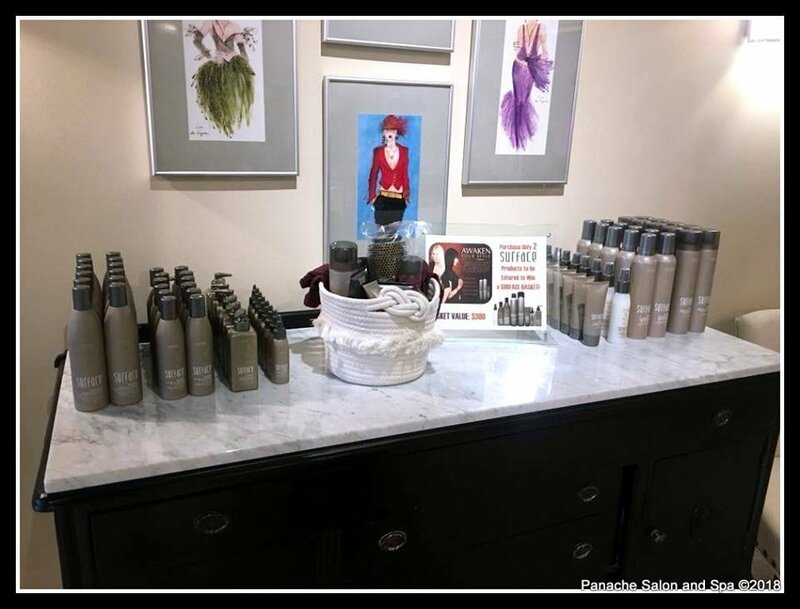 We were so excited to host the Surface Hair Awaken Your Style Event at Panache Salon and Spa last week. 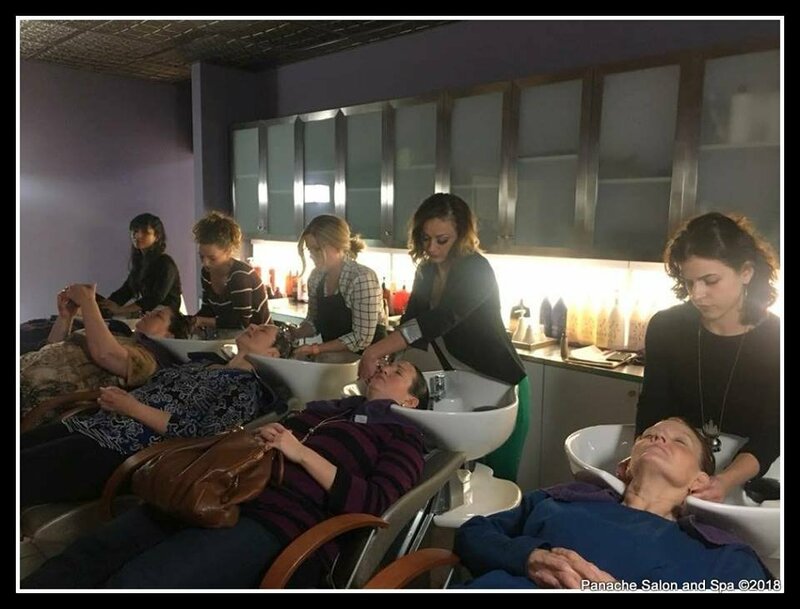 We had so much fun after hours learning more about this organic hair line. 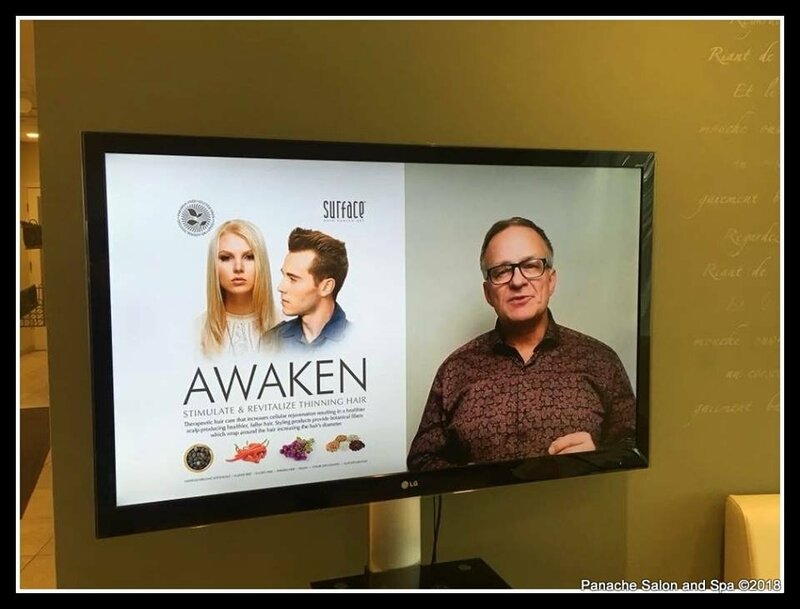 The Awaken portion of the Surface line is for those with thinning hair. 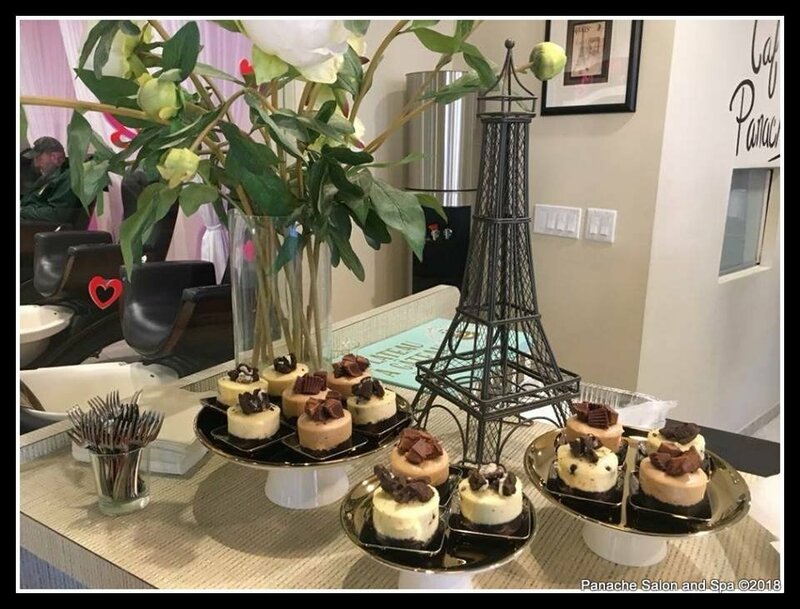 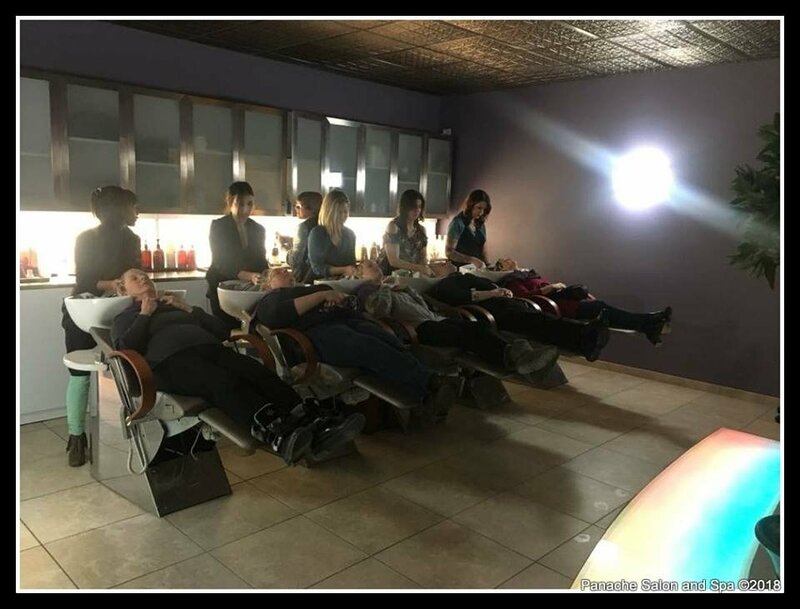 Each client who attended received a Surface Hair treatment and enjoyed some treats and professional tips from our stylists. 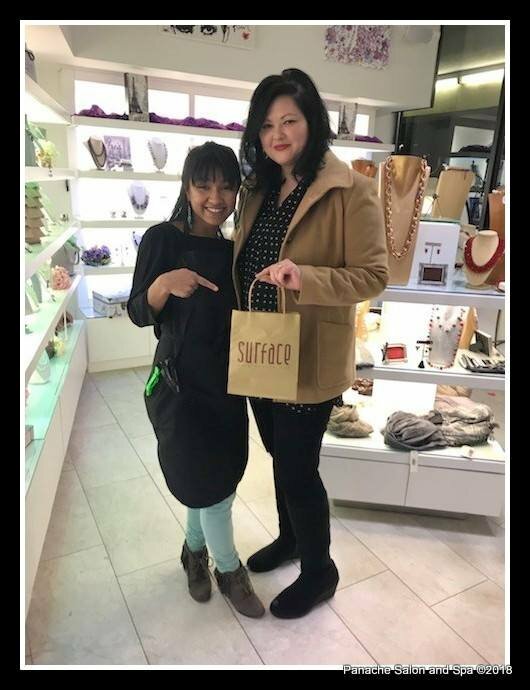 For every 2 products from Surface purchased, clients were entered to win a gift basket worth valued at $300. 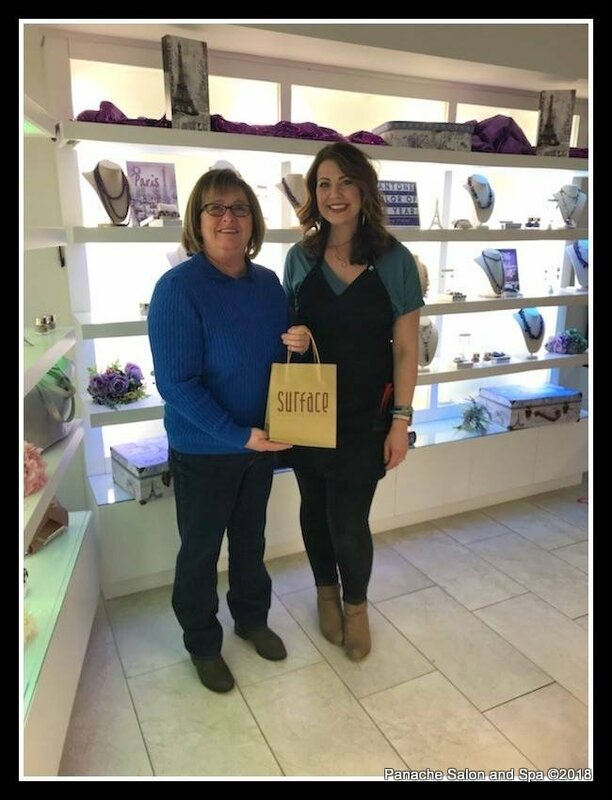 Stay tuned later today to see who the winner was! 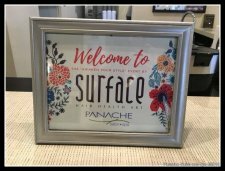 They make you feel right at home very comfortable and explain everything they're doing for you. 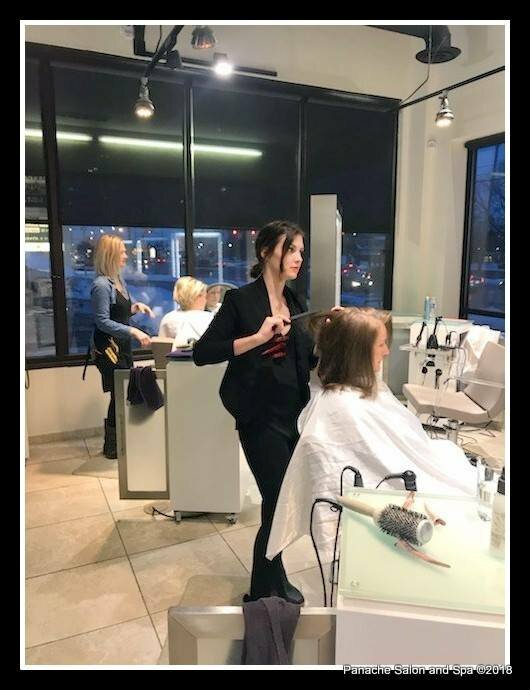 A wonderful experience all the way around.